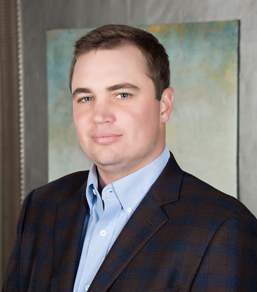 Stephen Horner serves as an Asset Manager for Viking Partners. As an Asset Manager, Stephen is responsible for directing and implementing the business plan for several of Vikings properties. His responsibilities include overseeing the new leasing and renewals, dispositions, property management, construction, accounting, and cash management of each property. During his time at Viking, Stephen has directed over 75 new leases and renewals, and managed the disposition of over $100 million worth of Viking’s transactions. Stephen has been with Viking Partners since 2012, upon graduation from the University of Cincinnati. While attending the University of Cincinnati, Stephen graduated from the Carl H. Lindner College of Business with a degree in Business Administration, double majoring in Finance and Real Estate. Outside of Viking Partners, he is an active member in the International Council of Shopping Centers and the Cincinnati Next Generation Real Estate Program.